A couple of my friends lost a parent in the last week. As my peers age, it is a normal part of life to face the illness and care of aging parents and their inevitable final passage. With losing a husband to brain cancer after a ten year battle, I have had some experience to be able to offer a few words of what worked for me. Perhaps it might for you. Try to understand the cause of the illness. If you are reading this, you have access to the Internet and there are countless websites that can provide explanations that you probably can understand. Do some reading in order to ask the doctors good questions. Not knowing causes more stress than you need. Fight (yes FIGHT) for good follow-up care, whether it is physical therapy or a home health aide. Do not accept a guilt trip from anyone that you should be able to provide all care. Even if you are a trained nurse, you are not able to be on the job 24/7. Understand when things start to slide downhill that at some time, death will occur. Trying to ignore it won’t make it not happen. Nothing you did or didn’t do caused that. The body gets awfully tired of the pain, the inability to take proper nutrition, the confusion. Recognize that this is not about what you are going to be losing, but making the time the best goodbye you can. 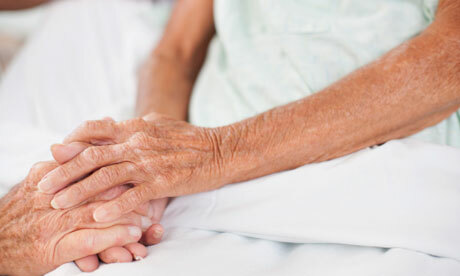 Doctors have a tendency to refer the patient to hospice very close to the end. This is a horrible disservice not only to the ill loved one but to you. I guess the doctors think it mean admitting failure, but being realistic about the illness and the probably outcome will enable you to persuade for earlier admission. Hospice is a wonderful helpful system set up to care for the ill person in their own home or perhaps in a residence. They provide palliative care, keeping that person comfortable and always acting with high respect. They also help YOU with the emotional turmoil as well as practical issues that are part of this stage of life. Hospice will typically enroll a patient if the doctor indicates end of life will occur within 6 months. That’s a wonderful amount of caring that can be extended if the loved one lingers on. Use this time to make pre-arrangements so there is no need for intense decision making when the person passes. In fact, before your loved one gets so ill, it might help you to understand if there is anything s/he prefers. Many people can’t talk about death easily. Let me assure you, talking about it does not make it happen sooner. If you have a spiritual connection, relax in it, even if only a moment here and there during the day. As one wise woman said to me when I asked if there were special prayers, “Don’t worry about the words. He knows all the words.” Take some time to complain, to cry, to be angry. It is okay. It is normal. If you have some friends, now is the time to call on that friendship. Not everyday. Not for long hours. But ask for one to bring a home cooked meal, do a run to the grocery store for you, sit with you and have a glass of wine and a hug. If any friends are very special, ask for a relief hour so you can go get a haircut or gas up the car or just drive over to the park to watch the sun set. If you are used to doing for others, it may be hard to ask for help. Don’t be concerned; the time will come later on to help others again. Now it’s time to let others love you. Take care of yourself. If you are not eating well and not getting enough sleep, you too will get sick. Your immune system is already being attacked because of the stress. This is the time you need to love yourself a bit more. You know the final day will come. We just don’t know when. Trying to move from a position of pending loss to one of making it the best goodbye you can will give you more peace than you can ever imagine. Hugs. 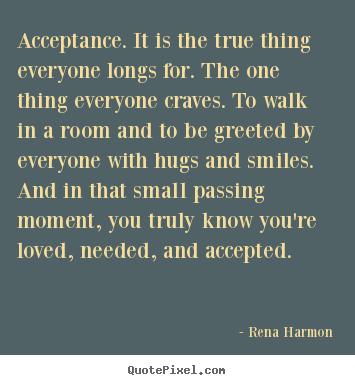 Categories: communication, community, emotions, ethics, family, freedom to chose, Friends, health, Life decisions, loss, values | Tags: anticipation, choices, death, emotions, family, friends, hospice, life, passages, prayer | Permalink.